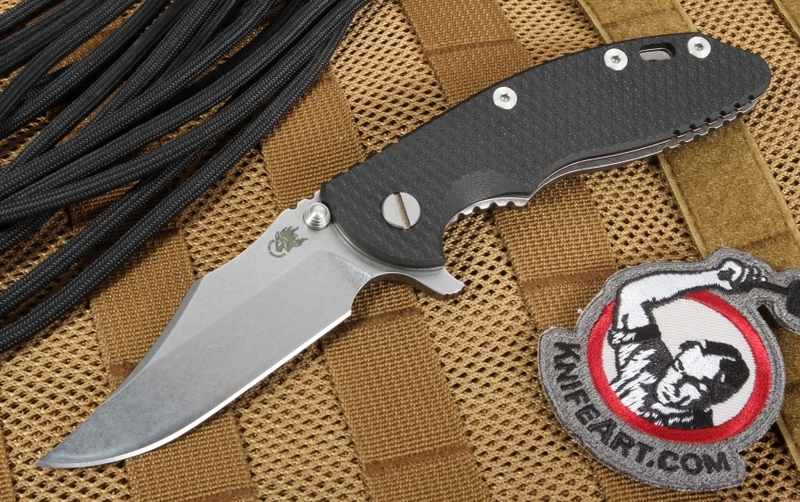 Rick Hinderer is well-known for his innovative, 'cutting-edge' techniques like the lock-bar stabilizer on this hardworking, XM-18 Bowie tactical knife. In fact, his lock-bar stabilizer is such an improvement that Strider Knives requested, and received, a license to use it on their own knives. 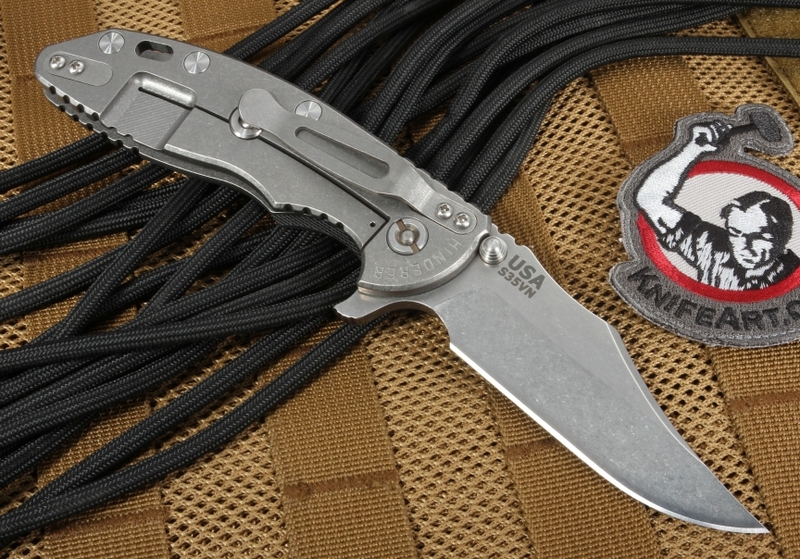 His hands-on experience as a first responder led Rick to create this iconic, heavy use tactical folder. This knife will handle anything you ask of it - and look good doing it! The Hinderer Bowie grind blade is razor-sharp stainless S35-VN steel in a stonewashed finish. Since the thumb stud is up again the frame, the frame helps protect the blade against sideways stresses. When open, the flipper protects your index finger while the filed thumb rest gives you a secure grip. 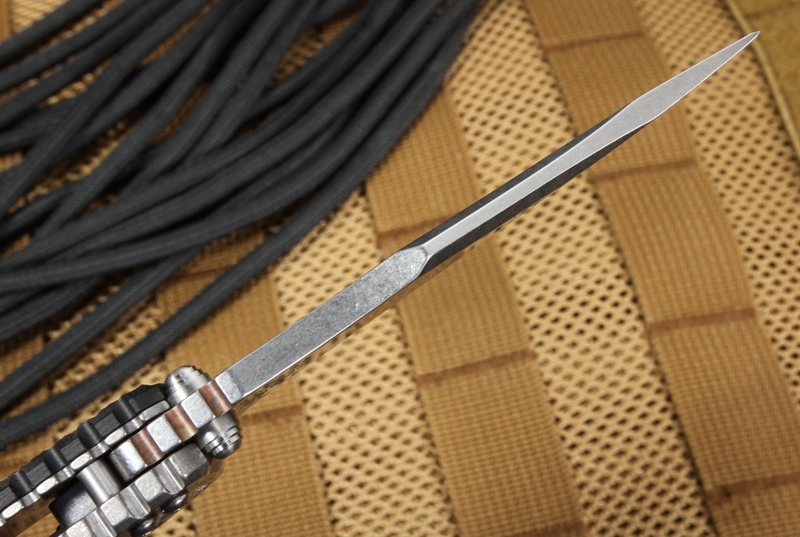 The blade is 3 1/2" long; with a total length of 8 1/4" open and 5" closed. It weighs 5.5 ounces. 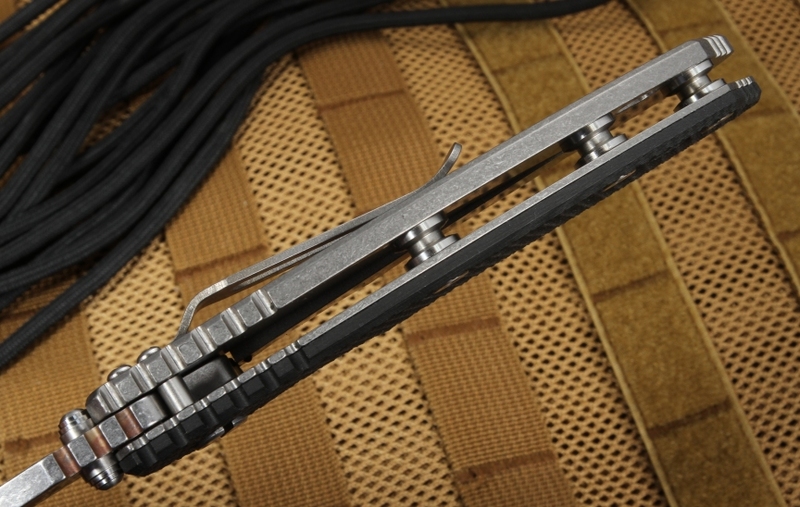 The textured black G-10 titanium handle has a durable stonewashed finish. Since the XM-18 has removable handle scales, it comes apart for a thorough cleaning or to change the look by switching out the scales. The ergonomic handle was designed with comfort in mind for any size hand. The solid, frame lock design with its integral bar lock gives you a knife that opens and closes easily and securely with either hand. 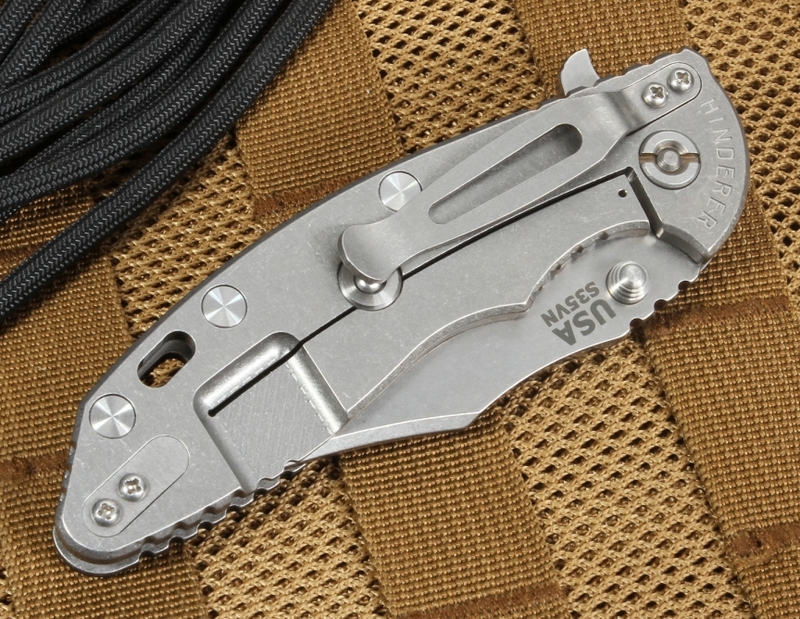 It features a reversible pocket clip for tip up or tip down carry plus lanyard holes in the handle. Buy your Rick Hinderer XM-18 Bowie with confidence. We're an authorized dealer selling only brand new, carefully curated merchandise. Our shipping is fast and free to anywhere in the U.S. This is my 4th Hinderer XM-18, the first 3 I didn't keep because the detents were too weak and the lockup was too early (the was a personal preference of mine, they functioned fine). This new one has a much stronger detent which really improves the flipping action, and the lock up is about 40% which I prefer over a super early lock up. As usual the fit and finish is excellent and I love the Bowie style blade, it has a very sharp point. The blade is very thick and solid (as Hinderer's are know for their hard use construction), but is ground thin enough toward the edge that it cuts well. The ergonomics are outstanding and fits my hand perfectly, the jumping is in all the right places. 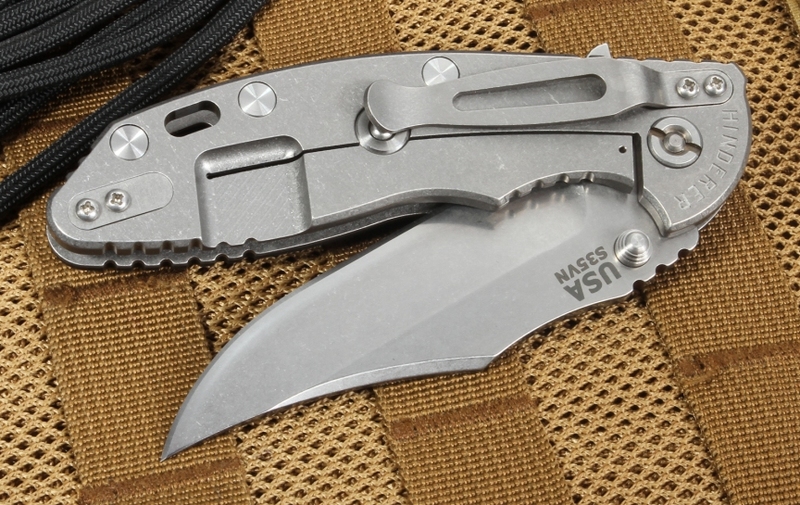 Over all this is an excellent, rugged, overbuilt folder. I highly recommend this knife.